Boating Books - Books on Sports - Sport Books: Catalog of books about your favorite sports. 2019 Boating books on sale now. Buy your 2019 Boating books with us today. We have many Boating books to choose from and each purchase comes with the ease and convenience of Sportspool's online experience. We hope you find the Boating book that is perfect for you! "What?��s the difference between a deep-vee hull and a modified vee? A planing hull and a displacement hull? Find out the answer to these and scores of other frequently asked questions in All About Powerboats. 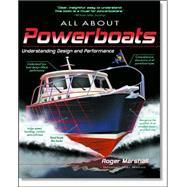 Writing for any boater seeking a better understanding of modern powerboat design and handling, author Roger Marshall provides a well-illustrated, clear introduction to small powerboats (18 to 30 feet long) from the perspective of use. His practical advice on hull shape, engines, construction methods, steering systems, comfort, and safety gives today?��s boaters a thorough grounding in powerboat selection, use, and lore." 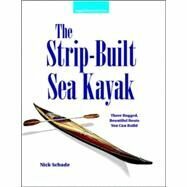 "Although books on strip building canoes abound, this is among the first to adapt the technique to crafting attractive, functional kayaks. Using high-quality, computer-generated illustrations and photographs to explain key techniques, the book provides complete plans and measurements for three different kayaks: 1) A simple solo craft for beginners, 2) A high-performance solo kayak for intermediate paddlers, and 3) A tandem design for two paddlers. With its easy-to-follow guidance and instructions, The Strip-Built Sea Kayak makes top-notch kayaks accessible to budget-minded paddlers." "For some learners a picture is worth a thousand words--and this lavishly illustrated volume proves the rule. 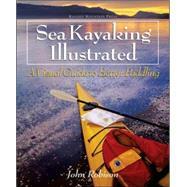 The expert advice and lively illustrations combine to offer serious how-to instruction in an entertaining fashion to sea kayakers of all levels. Developed by an ACA-certified instructor over years of paddling and education, this complete program provides a visual tour of all that sea kayaking can offer, including ingenious tips on advanced paddling techniques, navigation and safety, and more." 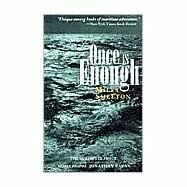 "The Sailor's Classics library introduces a new generation of readers to the best books ever written about small boats under sail When the 46-foot 'Tzu Hang sailed from Australia into the vast Southern Ocean in December 1956, her crew of three couldn't know what terror awaited them." "There is a deep mystery and profound satisfaction to finding one's position on earth by reference to the sun and stars. That is why, Loran and GPS notwithstanding, there will always be room on a boater's shelf for a manual of celestial navigation--especially one so unintimidating as this. 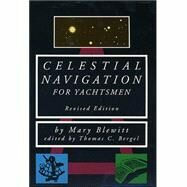 Since 1967, Celestial Navigation for Yachtsmen has been the best-known, best-loved primer on the subject. It successfully teachers sailors who have been demoralized by bigger, more expensive books. Abstaining from theory, it concentrates on the cookbook techniques needed to obtain and work any heavenly sight. Among other changes, this edition substitutes the Nautical Almanac for the Air Almanac, and shows how to construct plotting sheets and advance a line of position for a running fix." 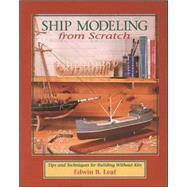 "Here is the first complete, step-by-step course in building model ships from scratch--everything from schooners and clipper ships to modern oceangoing freighters and steel warships. Covers choosing the right subject, building from plans, drawing scaled plans from photographs, buying tools and materials, building half models, planked hulls, lapstrake hulls, plank-on-frame, plank-on-bulkhead, lift models, modern ships, ancient ships, masting and rigging, sailmaking and flags." "Nine out of ten sailors today own sturdy, often beautiful, fiberglass craft. Fiberglass brought boating to the non-rich, but the history of that revolution has never been told. 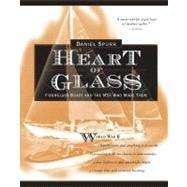 Daniel Spurr rectifies this omission with his affectionate account of the fiberglass boat, from its earliest incarnation in World War II to the present. Spurr profiles landmark designs that set the standards in the used-boat market and introduces the vivid personalities who invented the world of boating we know today."